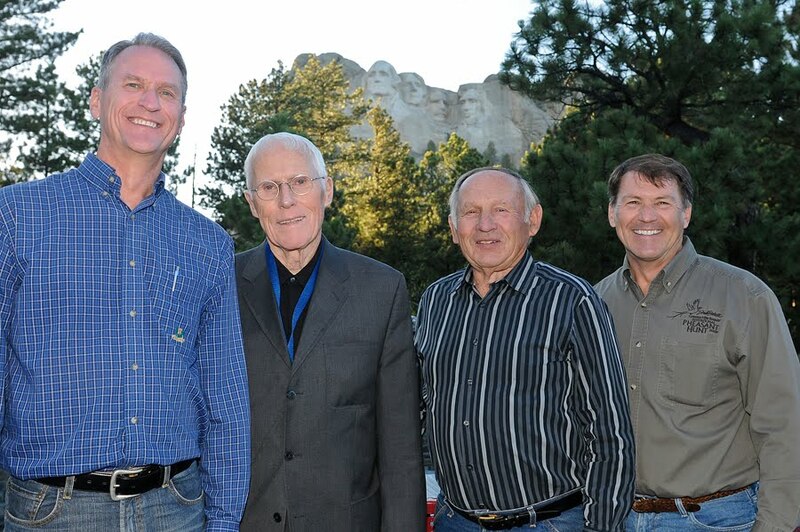 I had the privilege of photographing four of our five living Governors at Mount Rushmore last Saturday night. Left to right are current Governor Dennis Daugaard, Frank Farrar, Harvey Wollman and Mike Rounds. Funny story - As Scott Howard and I were lining up this photo a bystander said, "I can take a picture with all six of you in it if you want." We smiled and explained later that Scott and I didn't quite fit into the group. I think it speaks well of your state that at least three of these gentlemen chose to wear jeans to an official event like this.